the amazingly talented Josh Groban. My name is Jackie and I'm 28 years old. I'm known as Jax by my fellow Grobanites. download and the rest is history. welcome a new member to the family. my house. We have to do it again sometime! So,if you're new to Grobania, don't worry. You'll be welcomed with open arms. to what the deal is with Llamas in Speedoes (lol). 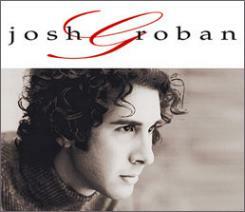 www.JoshGroban.com in the "About" section. for breaking news, as well as our community. Josh and Me after he performed on The View (5/29/02). at his apperance on The View. but for Josh it was so worth it! line to get a new battery. saw his face. HE smiled and waved to us and said hi. Brian was rushing him inside when he saw Tiffany's bear. He turned and did a double take. He asked her "Is that for me? Can I have it now?" had to go in but that they'd see us after the show. I was so excited that I could hardly breathe after that. we were lucky, we'd see him after the show. so that Tiffany could get a camera battery. We bought him flowers while we were at the store. much a guarantee we'd get in. She was right. started sending people up in groups of 10 and 15.
was 131 and they stopped the group before me at 130.
doodle of himself...I love that! waited for Brian to bring him out. support him they just came to see the show. really had to go. Josh thanked us again and we said goodbye. I am still grinning ear to ear. sole purpose of promoting Josh Groban. The second page at this site. More pics, and links to other Josh Sites. Join the Josh Groban Online Team.